When PayPal was born in the late 1990s, it revolutionized the way that we think about money and paying for goods and services online. 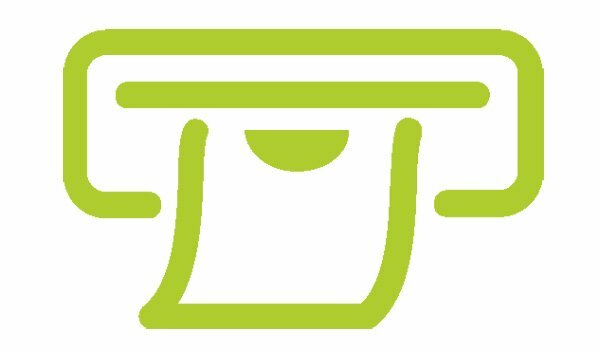 Over time, people have come to trust this online electronic wallet as a way to transfer money online. Online casinos have also adopted PayPal as a way to make deposits and withdrawals, although the ability to use this payment method depends on the casino license as well as the country of residence of the player. 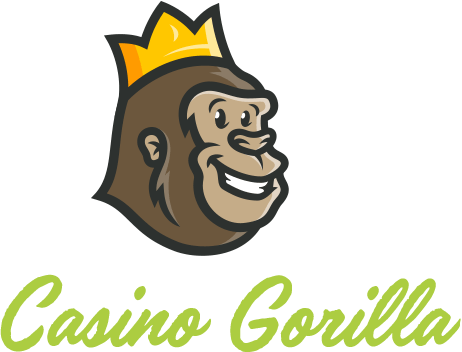 If you prefer to use PayPal to fund your online casino then let the Casino Gorilla be your guide to the best PayPal casinos. PayPal is available in more than 180 countries around the world and uses 25 different currencies. Millions of people own PayPal accounts and it is a trusted and secure way to pay for goods and services on the internet. PayPal do not allow their services to be used on every online casino, generally restricting use to trusted casinos with country specific licenses. Deposit fees: most online casinos will not charge any fee for a deposit made by PayPal, although there are exceptions to this rule (such as Betfair). In general you can expect withdrawals to be free as well, although some casinos will impose a small charge. Check the payments section of your chosen casino to see whether any fees will be payable. Countries accepted: PayPal is used in over 180 countries worldwide. Whether it can be used to fund your online casino depends on whether the casino holds a recognized license for your country of residence. For example, if you are based in the UK and the online casino has a UK license then you can expect to be able to use PayPal for deposits and withdrawals. US residents cannot use PayPal to fund an online casino. Banking methods: you will need either debit/credit cards or a bank account in order to fund and withdraw from your PayPal account. Credit cards can be used to transfer funds into your PayPal wallet, but they can only be withdrawn to a bank account or debit card. Both current and savings accounts are acceptable. Minimum deposits: the minimum deposit required when using PayPal to fund your online casino account varies according to the rules of that casino. Expect to have to deposit at least £10 and possibly £25 depending on the casino in question. Deposit bonuses: some casinos will grant players a deposit bonus when they use PayPal to fund their accounts. Again, this depends on the individual casino as to whether you can expect to earn regular bonuses from your PayPal deposits. Microgaming Online Casinos with PayPal: Microgaming is one of the world’s leading casino software providers. You will be able to find PayPal as a payment method on selected Microgaming casinos, but it is not provided as standard. Playtech Online Casinos with PayPal: Playtech power the games to be found on a number of the world’s most famous online casinos, and their linked progressive jackpot games are hugely popular. Many Playtech casinos offer a 15% bonus for deposits made using PayPal. RTG Online Casinos and PayPal: Real Time Gaming or RTG is another popular developer, responsible for games such as Cash Bandits and Football Frenzy. However, it is difficult to find PayPal funding options on RTG Casinos as these are often US-facing casinos. It is very easy to set up your own PayPal account. It is free to create your account and only takes a few minutes to create your own account. First go to the PayPal website and select the Sign Up option. Enter your full name and email address, and wait for your email confirmation to arrive. Make sure to use your correct details as you may need to confirm your identity in future. You will need to link either a bank account or debit/credit cards to your PayPal account in order to make deposits and withdrawals. PayPal will verify your bank account by crediting it with small sums of money, which it will ask you to confirm. Now you are ready to make deposits and withdrawals using PayPal. Depositing using your PayPal account is extremely simple. You must first add funds to PayPal either via bank transfer or using your debit or credit card. Now you can go to the Cashier section of the online casino to deposit. Select the PayPal icon from the list of available payment methods. This should take you to your PayPal account and you can select the amount of money you wish to deposit. PayPal deposits are instant and generally there is no fee involved. Withdrawing your winnings using your PayPal account is every bit as easy as making a deposit, which is why so many people favor this payment method. Simply go into the Cashier section of the casino and select the Withdrawal button. As long as you deposited using PayPal you should see this option available for withdrawals as well. Click the PayPal icon and choose the amount you wish to withdraw. Most casinos will process your payment within 24 hours, and often in less time than this. When the money is in your PayPal account you can transfer it to your bank account. While there is not usually a fee incurred for withdrawing from the casino to PayPal, there may be a small fee when you transfer the money from PayPal to your bank account. Ease of use: most people are familiar and comfortable with PayPal, given that it has been available for around 20 years at this stage. PayPal transactions are fast and simple, and involve either no fees or minimal charges. Security: PayPal is a highly trusted payment method which has never endured any security breaches. Money is transferred quickly and easily without any risk to the sender, making this a perfect online transfer method for the security-conscious. Licensing requirements: unlike other e-wallets, PayPal requires that casinos are fully licensed in countries they wish to allow PayPal to be used in. This restricts the number of casinos that can offer PayPal but ensures that those casinos are fully licensed and regulated. Popularity: at last count it was estimated that there were almost 250 million PayPal accounts active around the world. This number is increasing every year, and PayPal is fast becoming one of the most trusted and popular payment methods around. Not accepted in all casinos: PayPal will only allow its services to be used on certain casinos, and these are vetted to ensure that they meet the standards set by the payment provider. This means that the number of online casinos which accept PayPal is very limited when compared with other electronic wallets like Neteller or Skrill. Not accepted in all countries: not every country is allowed to use PayPal to fund online casinos, with the United States being the obvious example. Residents of this country must use different options to fund online casinos. PayPal’s verification processes are sometimes slow: because it is security conscious, PayPal will require higher levels of verification than other electronic payment methods. This can involve validating bank accounts as well as requesting proof of address and ID. While this can result in some delays, most people are willing to accept this as a trade-off for the increased security of a PayPal account. No US players accepted: although the US is PayPal’s number one international market in general terms, it is not permitted for US residents to use PayPal for online gambling transactions. For this reason, no US-friendly online casinos will offer PayPal, so alternatives must be selected. Direct contact with the customer support team of your chosen casino will often enable a solution. As we have seen, it is not always possible for casino players to use PayPal to fund and withdraw from their online casino accounts. While it is a hugely popular option, its selective online gaming policy mean that the residents of many countries will need to seek alternative options. Visa and Mastercard and Maestro are widely available as funding methods for online casinos. Note that Mastercard do not allow withdrawals from online casinos outside of the UK and selected European banks. The most popular electronic wallets apart from PayPal are Neteller and Skrill. Where PayPal is very selective about its use at online casinos, Neteller and Skrill are happy to appear as payment options in online casinos in most countries. Accounts are easy to create and they offer the same speedy and simple payment options as PayPal. This voucher system is growing in popularity as an anonymous way to fund your online casino account. Simply purchase a card at a local store and use the code to fund your online account instantly. Withdrawals will need to be done via a bank account. There are dozens of different online bank transfer options, many of which differ according to your country of residence and your bank within that country. These options can be slower than some of those listed above, but are secure and allow for larger transactions. Bitcoin is always in the news these days, and it is one of many cryptocurrencies which are accepted by some casinos for deposits and withdrawals. Expect the number of casinos offering this service to rise over the years to come as more people put their trust in cryptocurrencies. Can’t find PayPal listed as a payment method on your favourite casino? Wondering which payment methods make the best alternative? 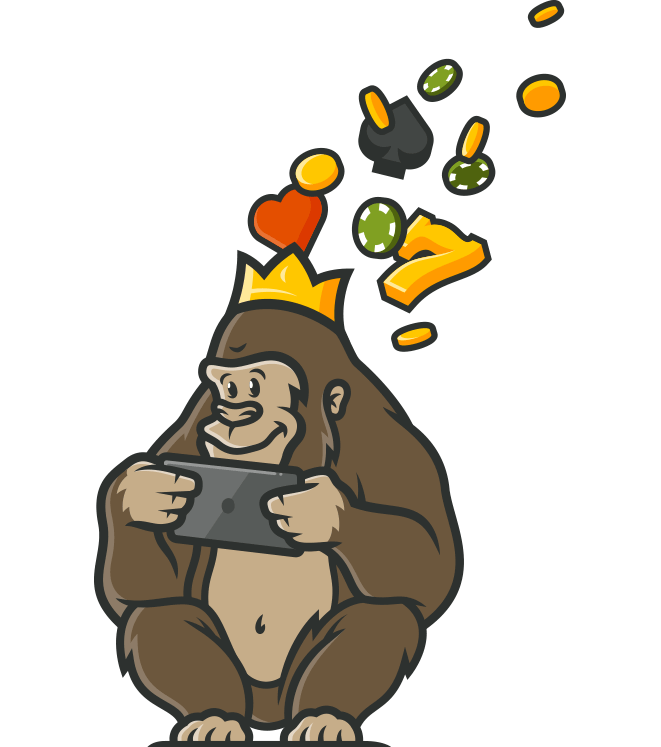 The Casino Gorilla has got the answers to some of the most commonly asked questions about using PayPal with online casinos. QUESTION: Can you use Paypal at all online casinos? ANSWER: PayPal is not available at all online casinos. PayPal is very particular about which casinos it will allow to use their services, and requires that a country-specific license is in place before allowing players from that country to deposit and withdraw using PayPal. QUESTION: Which countries accept it? ANSWER: Only in countries which have individual national gaming licenses will players be eligible to use PayPal to fund their online casino. This primarily refers to European countries, as online gaming licenses are less common elsewhere. US residents may never use PayPal to fund their casino accounts. QUESTION: What are the alternatives? ANSWER: The most popular electronic wallets besides PayPal are Neteller and Skrill, and these are more widely available for funding online casinos. Other options include bank transfers, voucher systems and Bitcoin. QUESTION: Will more casinos accept PayPal in the near future? ANSWER: As more countries legislate to cover online gambling, it is likely that PayPal will become more widely available as a payment method for online casinos around the world.